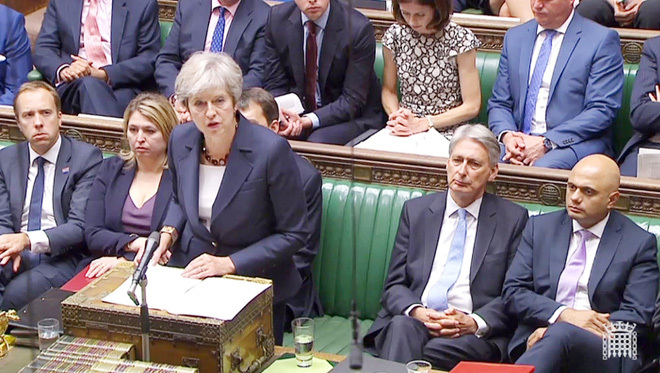 LONDON: Britain said yesterday that Russian President Vladimir Putin had ‘ultimate’ responsibility for a nerve agent attack on a former Russian double agent in England, as it prepared to brief the United Nations (UN) Security Council. London has accused two members of Russian military intelligence of using Novichok to try to kill former Russian spy Sergei Skripal and his daughter Yulia in the southwestern city of Salisbury. Security Minister Ben Wallace said Putin bore ultimate responsibility for the poisoning. He told BBC radio: “I don’t think anyone can ever say that Mr Putin isn’t in control of his state …. And the GRU is without doubt not rogue. Britain has previously pointed the finger at Moscow for the March 4 attack, sparking furious denials. In the aftermath, Britain and its allies expelled dozens of Russian diplomats, prompting Russian to respond in kind. The US also imposed fresh sanctions over the attack. Britain will brief the UN Security Council later Thursday on its latest findings, with the meeting due to open around 11.30am. Moscow on Wednesday again denied involvement in the case, accusing Britain of ‘unfounded accusations’. “Instead of conducting an independent, objective and transparent investigation… London continues to engage in anti-Russian megaphone diplomacy, continuing its propaganda show,” the foreign ministry said. The US ambassador to London, Woody Johnson, and the Australian government have offered their support for Britain’s stance against Russia. Wallace said his government would seek to ‘maintain the pressure’ on Russia ‘to say that the behaviour we’ve seen is totally unacceptable’. Options include ‘more sanctions — we are obviously taking it today to the UN to present our case’. However he noted that Russia would be there and would likely use its veto on any statement that might arise. Amid reports that Britain was planning a response in cyber-space, Wallace said the Russians were the main operators behind attacks on British networks. “We retaliate in our way… within the rule of law and in a sophisticated way, that they know the cost of what they do,” he said. The Skripals survived the poisoning but remnants of Novichok found in a fake perfume bottle were picked up by a local man weeks later. Charlie Rowley gave it to his girlfriend, Dawn Sturgess, who later died. British prosecutors said Wednesday they had enough evidence to charge the two men identified as Alexander Petrov and Ruslan Boshirov with conspiracy to murder Skripal, attempted murder and the use of a banned chemical weapon.